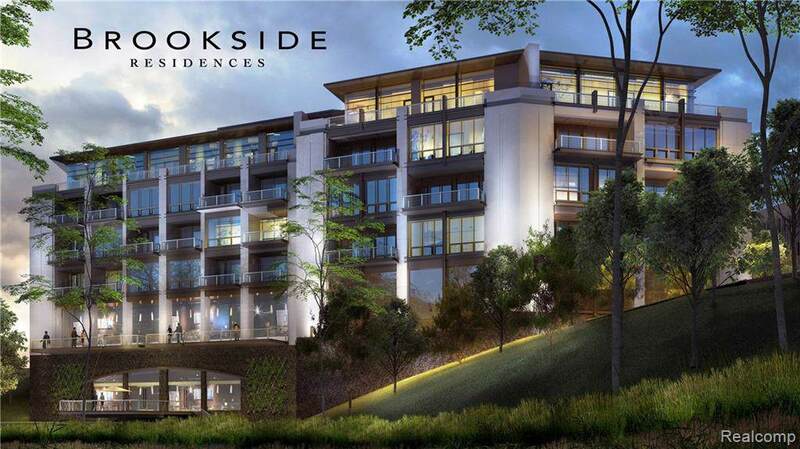 Units are 50% SOLD OUT, limited opportunity remains to live in "A Residence Above Them All! World class city living offers the comforts of a 5-star hotel with full service concierge amenities as well as a-la-carte services creating an ideal union of luxury & lifestyle. Sleek architecture & plush finishes infuse every detail including the exclusive Brookside Gathering Room, terrace, fitness facility and continue thru the lobby & corridors. 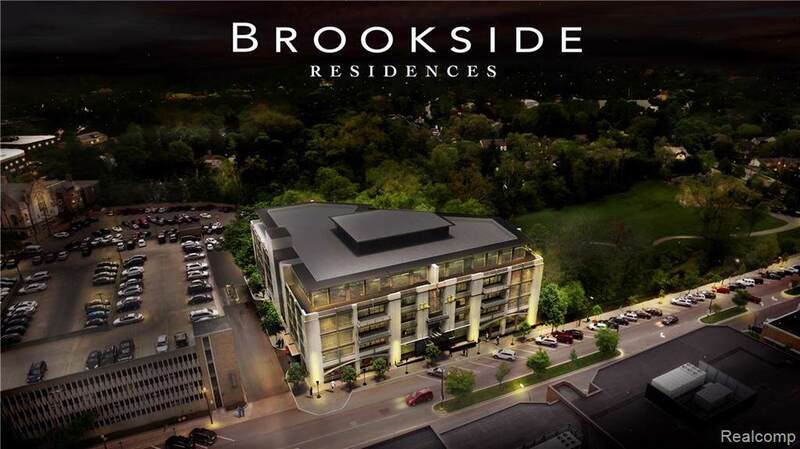 Set on the coveted "north end" of town, the location offers unique views of downtown urban landscape, private wooded ravines, or a lush park setting. 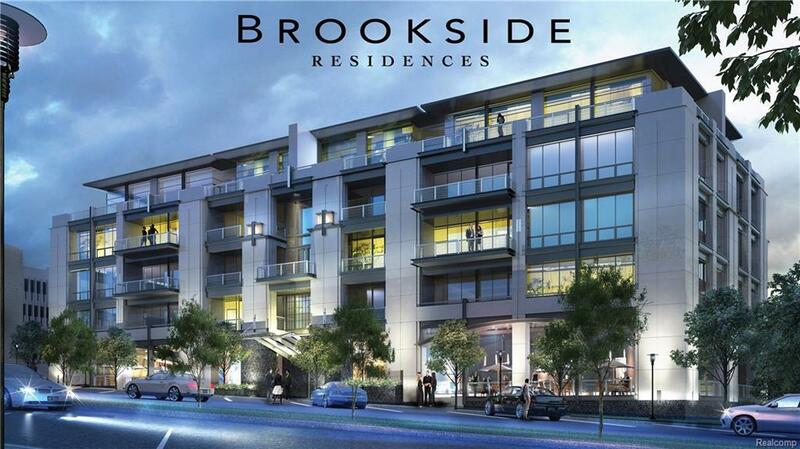 At Brookside, you have the option to create your own space beginning with your vision & ending with your inspired reality. 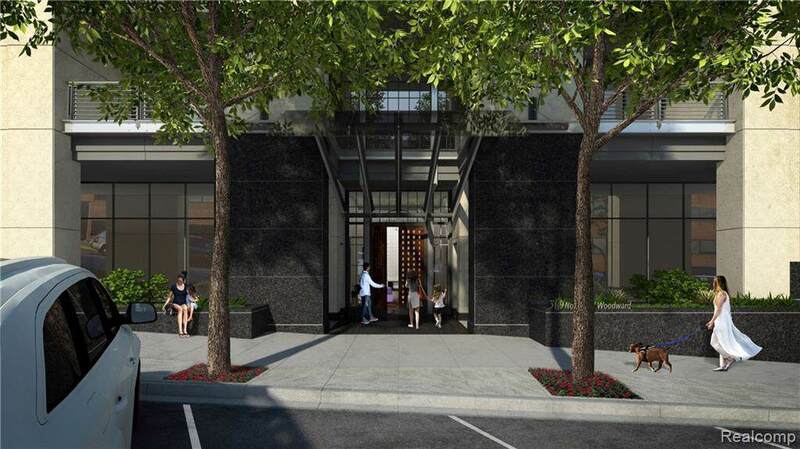 Units are finished to white box, from which residents may select from our turn key, high end packages or have the opportunity to design a completely customized unit. This state of the art residence brings to market the first of its kind to MI.